Gestalt therapy, developed by Fritz Perls, Laura Perls, and Paul Goodman in the 1940s, is an experiential and humanistic form of therapy that was originally designed as an alternative to conventional psychoanalysis. Gestalt therapists and their clients use creative and experiential techniques to enhance awareness, freedom, and self-direction. The word gestalt comes from the German word meaning shape or form, and it references the character or essence of something. Focus on "Here and Now"
At the core of gestalt therapy is the holistic view that people are intricately linked to and influenced by their environments and that all people strive toward growth and balance. Gestalt therapy is similar to person-centered therapy in this way, as well as in its emphasis on the therapist’s use of empathy, understanding, and unconditional acceptance of the client to enhance therapeutic outcomes. According to gestalt therapy, context affects experience, and a person cannot be fully understood without understanding his or her context. With this in mind, gestalt psychotherapy recognizes that no one can be purely objective—including therapists whose experiences and perspectives are also influenced by their own contexts—and practitioners accept the validity and truth of their clients’ experiences. Gestalt therapy also recognizes that forcing a person to change paradoxically results in further distress and fragmentation. Rather, change results from acceptance of what is. Thus, therapy sessions focus on helping people learn to become more self-aware and to accept and trust in their feelings and experiences to alleviate distress. Gestalt therapy places emphasis on gaining awareness of the present moment and the present context. Through therapy, people learn to discover feelings that may have been suppressed or masked by other feelings and to accept and trust their emotions. Needs and emotions that were previously suppressed or unacknowledged are likely to surface as well. Through this process, a person gains a new sense of self as overall awareness increases. The focus on the here and now does not negate or reduce past events or future possibilities; in fact, the past is intricately linked to one’s present experience. The idea is to avoid dwelling on the past or anxiously anticipating the future. Experiences of the past may be addressed in therapy sessions, but the therapist and client will focus on exploring what factors made a particular memory come up in this moment, or how the present moment is impacted by experiences of the past. Together, the therapist and the person in therapy will evaluate what is happening now and what is needed as a result. Therapists refrain from interpreting events, focusing only on the immediate, including the physical responses of the client. Remarking on subtle shifts in posture, for example, can bring a person into the present. In this way, gestalt therapy helps people gain a better understanding of how their emotional and physical bodies are connected. Understanding the internal self is the key to understanding actions, reactions, and behaviors. Gestalt therapy helps people take the first steps into this awareness so that they can acknowledge and accept these patterns. Gestalt therapy is practiced in the form of exercise and experiments. It can be administered in individual or group settings. In general, exercises are somewhat established practices in gestalt therapy designed to arouse action, emotion, or goals from the person in therapy. The therapist and person in therapy can then examine the result of the exercise in order to increase awareness and help the person understand the “here and now” of the experience. In contrast to exercises, experiments arise throughout the development of the therapeutic process and therapeutic relationship. They are a core component of gestalt therapy and allow the person in therapy to understand different aspects of a conflict, experience, or mental health issue. The empty chair technique is a quintessential gestalt therapy exercise that places the person in therapy across from an empty chair. He or she is asked to imagine that someone (such as a boss, spouse, or relative), they, or a part of themselves is sitting in the chair. 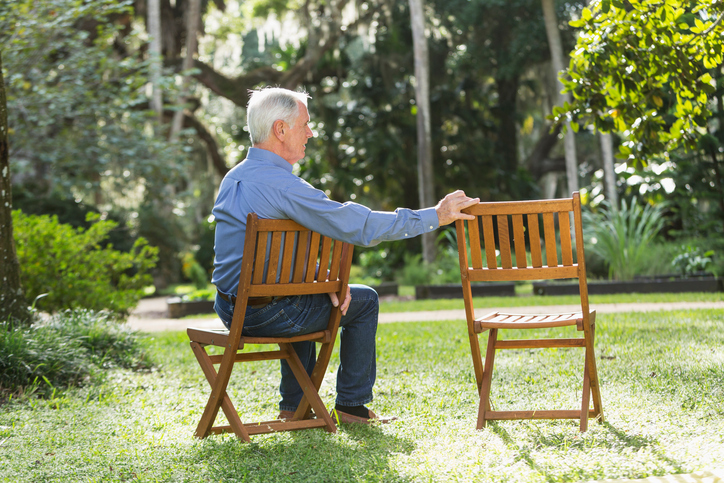 The therapist encourages dialogue between the empty chair and person in therapy in order to engage the person’s thoughts, emotions, and behaviors. Sometimes the roles are reversed and the person in therapy assumes the metaphorical person or part of a person in the chair. The empty chair technique can be especially useful for helping people become mindful of the whole situation and forgotten or disengaged pieces of their own self. Another common exercise in gestalt therapy is the exaggeration exercise. During this exercise, the person in therapy is asked to repeat and exaggerate a particular movement or expression, such as frowning or bouncing a leg, in order to make the person more aware of the emotions attached to the behavior. The empty chair technique and the exaggeration exercise are two of many gestalt therapy techniques used to help people in therapy increase their awareness of immediate experiences. Through exercises and spontaneous experiments, gestalt therapy also allows people reconnect with parts of themselves they may minimize, ignore, or deny. Association for the Advancement of Gestalt Therapy: A non-profit organization committed to the advancing the theory, practice, and philosophy of gestalt therapy. Society for Gestalt Theory and Its Applications: An international scientific association created to promote the research and practice of gestalt therapy. The Gestalt Therapy Page: The latest news from the world of gestalt therapy.